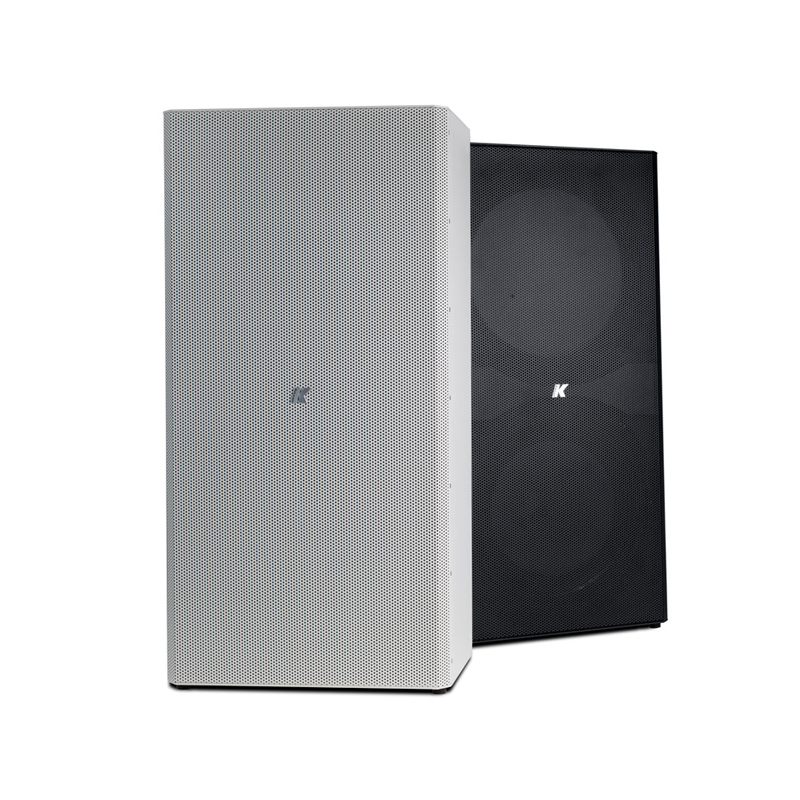 KS8 is a compact, self-powered, weather resistant subwoofer providing an exceptional peak output of 148 dB SPL. The KH7 is a unique, compact, self-powered, mid-high line array element complying with the highest standards, both in quality and SPL. The Mastiff-KM312 is a 3x12' self-powered (or passive) high power stage monitor with ultra-low distortion and a maximum SPL output 136 DB with an adjustable sound emission angle. It is ideal for touring, concerts, music festivals and live events in large venues. The Mastiff-KM112 is a 1x12' self-powered (or passive) high power stage monitor with ultra-low distortion and a maximum SPL of 133 DB with an adjustable sound emission angle. It is ideal for touring, concerts, music festivals and live events in large venues. 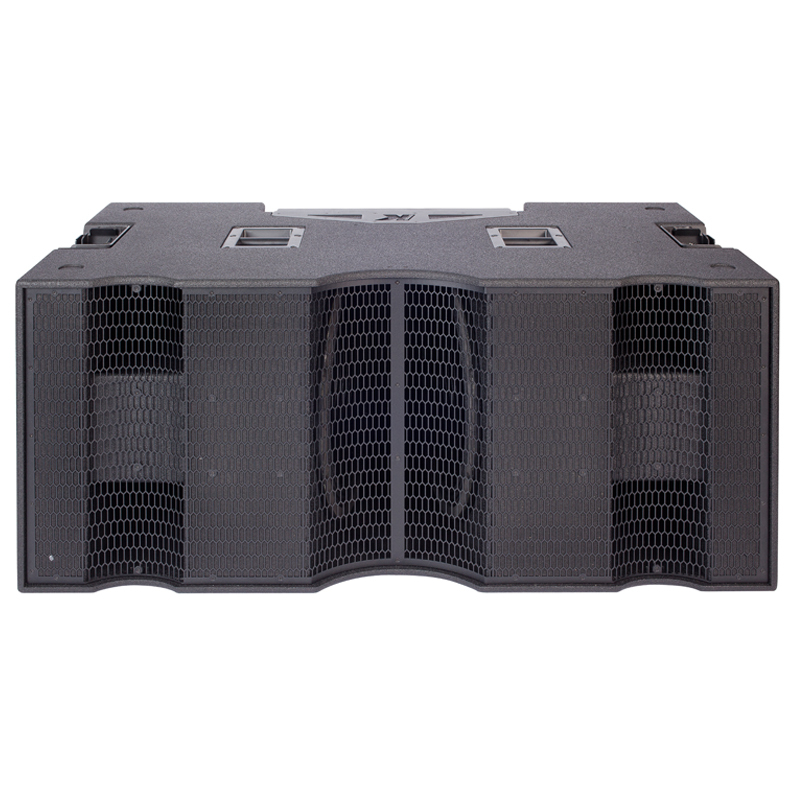 The KH2 is a revolutionary compact line array element for medium scale events. The KH3 is designed for larger scale events in stadiums, arenas, concert halls and theatres as an easily transportable system featuring digital steering for outdoor venues with noise restrictions and space limitations. The Capture-KMC20 is the smallest line array microphone in the market featuring PAT technology composed of 8 x 4 mm cardioid capsules aligned in a line array configuration. 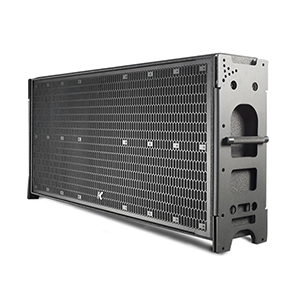 The KAN200+ is the perfect fit for any distributed sound application to serve as a flexible PA system with higher power handling than KAN200- either standalone or combined with K-array subwoofers. The KZ12 is a remarkable ultra micro line array designed for discreet use in a variety of situations such as restaurants, bars, museums etc. KR102 features a pair of KMT12 12” subs each with 2 channels of 1,000 Watts matched to a KK102 with 16 x 2" Neodymium speaker elements. R202 features a pair of KMT18 18” subwoofers each with 2 channels of 1,000 Watts matched to two KK102 with 16 x 2" Neodymium speaker elements. The KRX402 is composed of four KX12 line array elements paired with two KMT21 Mark I 21” subwoofers and includes an extendable pole and dedicated hardware for joining, stacking and flying the system. 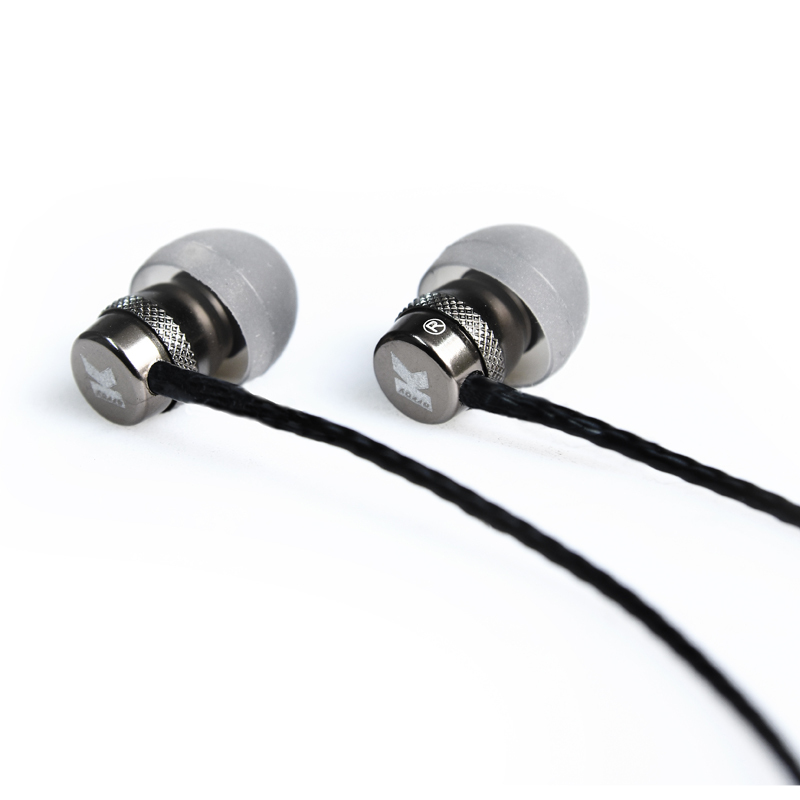 Delivers maximum SPL, very low frequency and best bass response. The KRX802 is composed of six KX12 line array elements standing on two KMT218 18” subwoofers by means of an extendable pole and proper joining and stacking hardware. The K-array KK102 is a passive speaker system comprised of sixteen 2” neodymium magnet transducers housed in an elegant and sturdy stainless steel chassis. The line array system is made up of 6 KH3 self-powered speakers, 4 KS5 subwoofers and line array accessories. Easily transportable with digital steering for outdoor venues with noise restrictions and space limitations. The K-array KMT21 I is a powered 21” subwoofer, with a programmable on-board DSP, multiple analog and digital inputs & outputs for creating a wide array of speaker configurations. Pocket handles and an M20 thread mount position for attaching mid-high speakers makes the subwoofer convenient to use and ideal for medium throw applications in theaters, concert halls, and Audio/Video installations. 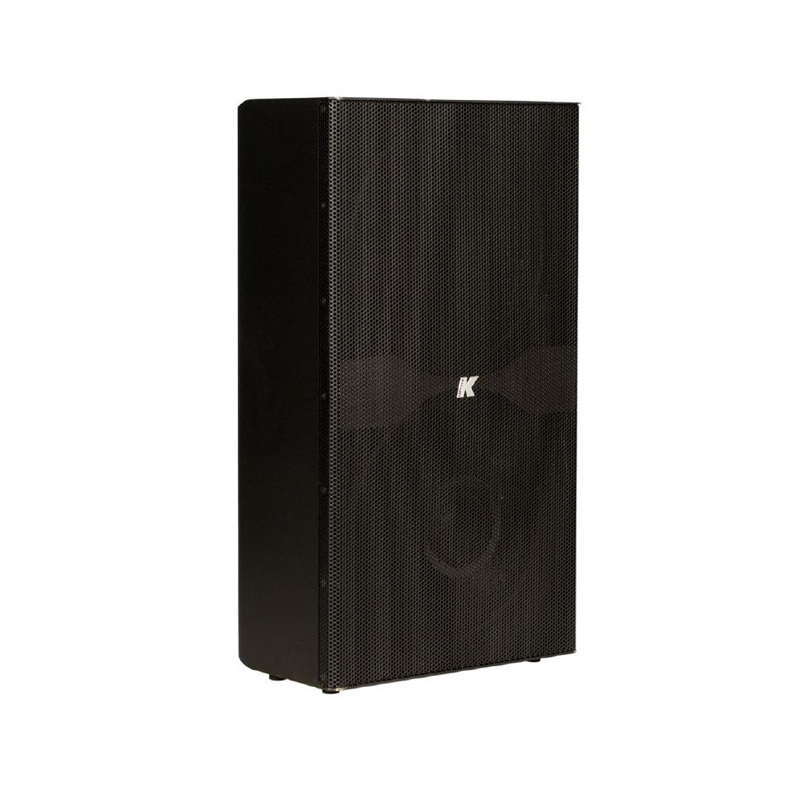 The KMT218P is a high performance sub-bass system designed for use with small to medium wavefront systems, in both touring and install applications. 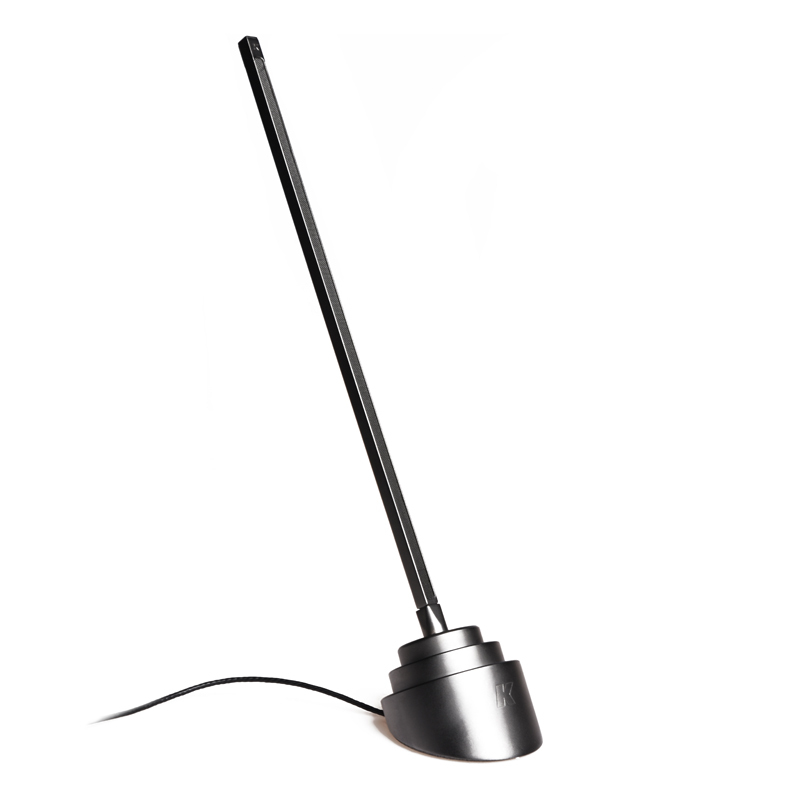 The KF26 is the smallest of the Domino series measuring less than 12 cm deep. Designed as a passive speaker, it can be transformed into a self-powered speaker just by inserting the specific amplifier accessory, KA1-FF. 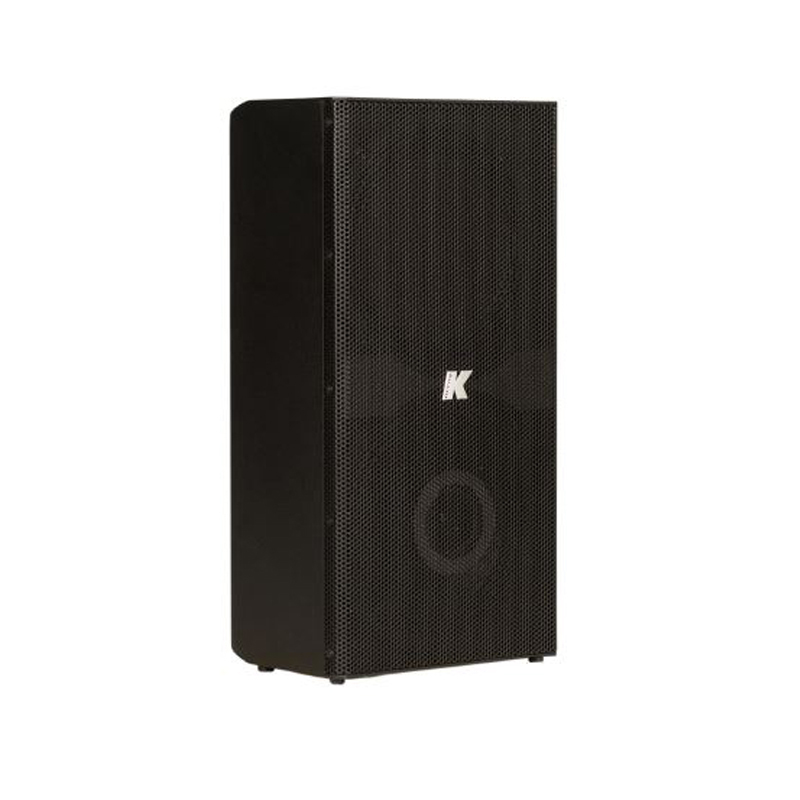 With a max SPL of 109dB, the KF26 is the ideal for smaller installations that require high quality in a practical, compact form. 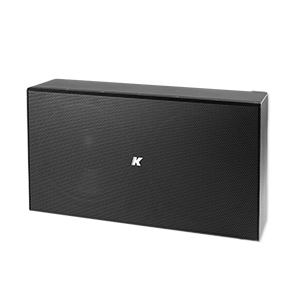 The KRM33, or the "cheese box”, is an ultra-compact and low-profile powered wedge speaker with a controlled horizontal pattern and has an extended frequency response. 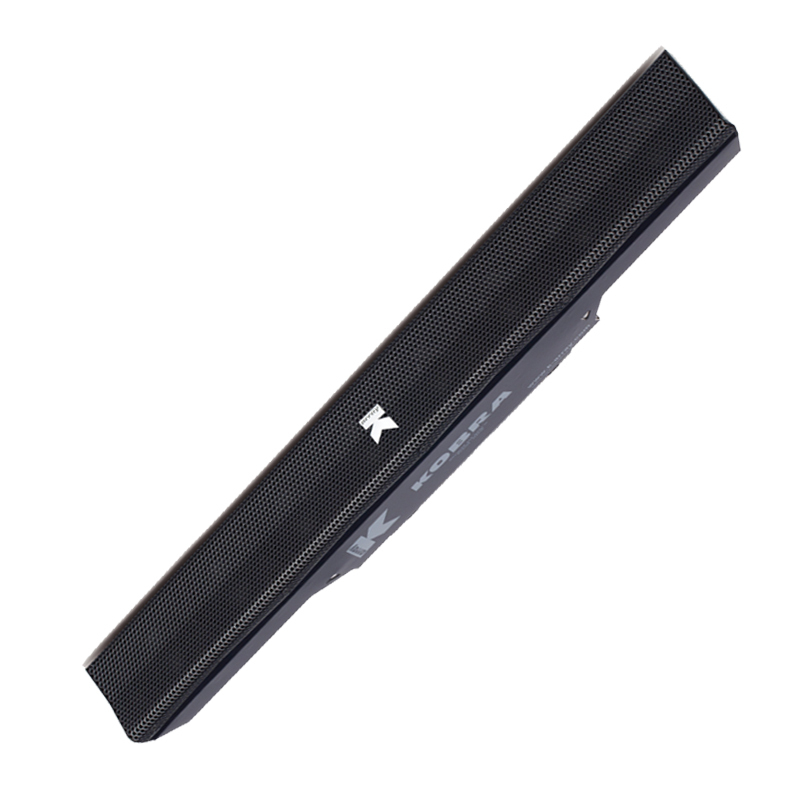 The KJ50vb is an ultra-slim profile, substantial output capability and smooth frequency response over the full vocal range and can switch the horizontal coverage pattern and to vary the vertical coverage through DSP control. 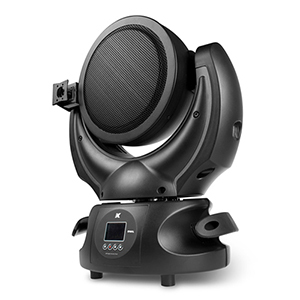 The KW8 Owl is a self-powered, moving audio head including a 8" coaxial transducer and a newly built-in camera to allow users to accurately focus their directivity of sound. The K-array KP102 is a passive speaker system comprised of twelve 3.15” Neodymium magnet transducers housed in an elegant and sturdy stainless steel chassis. 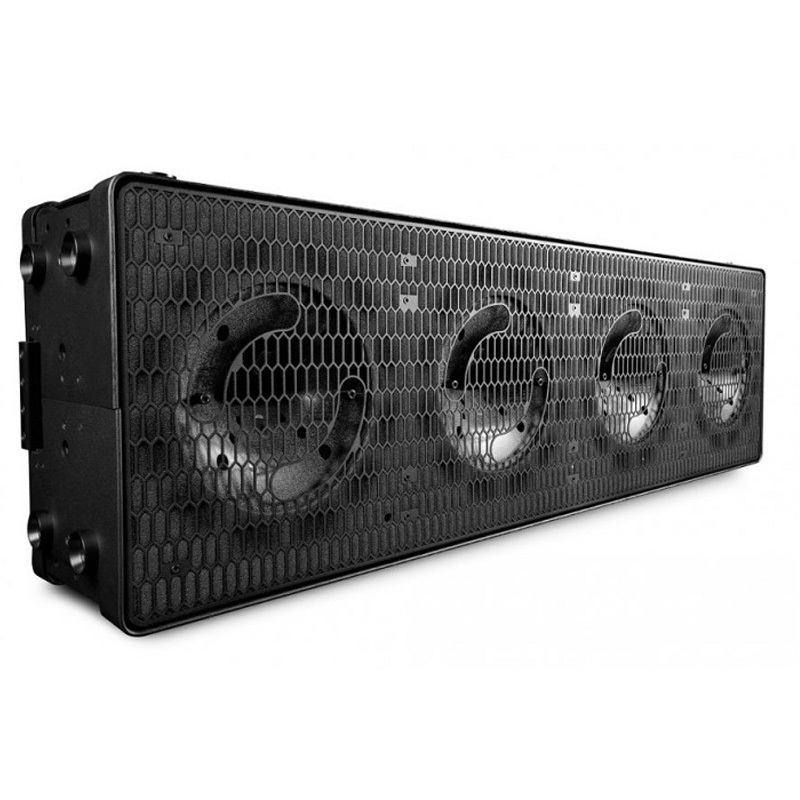 The KU44 line array element is an extremely compact, array-able bass element designed to combine with mid-high speakers to provide a full range frequency response with prodigious output in a virtually invisible profile. The Piccolo audio system has been designed to satisfy all those who need quality sound keeping the audio system itself almost invisible. The KH5SYS6 is a compact solution that saves space along with transportation costs for stadium venues and large events made up of 6 KH5 speakers, 6 KS5 subwoofers and accessories. The KH2SYS6 is an incredibly compact and lightweight system with 6 KH2 self-powered speakers and 2 KS5 subwoofers. The K-array KY102 is a passive speaker system comprised of eight 4” neodymium magnet transducers housed in an elegant and sturdy stainless steel chassis. 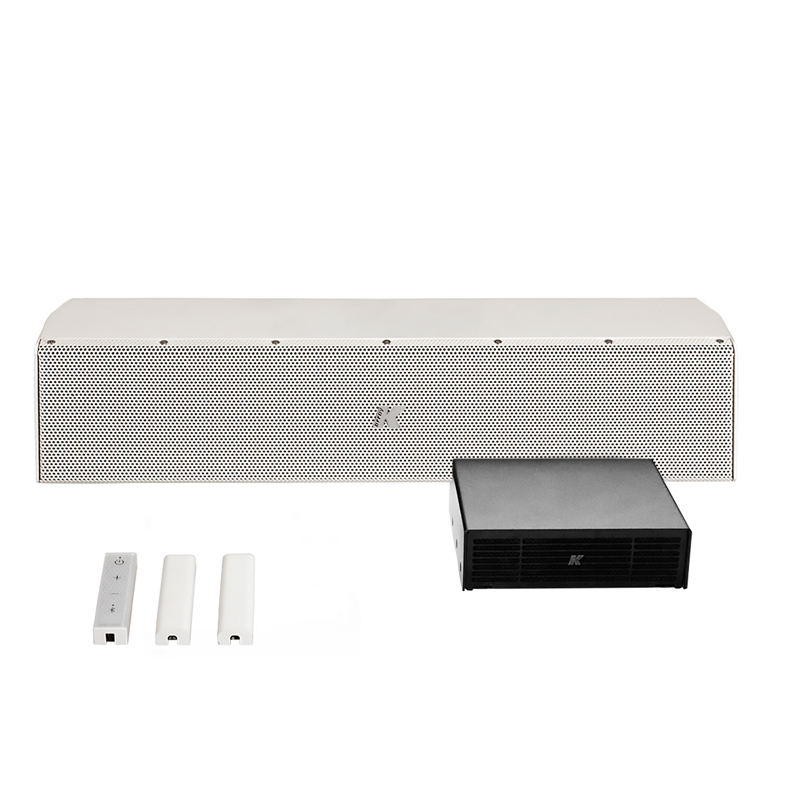 The K-array Tornado KT2 miniature sound source is a passive loudspeaker designed for high-quality distributed systems for fixed applications, portable systems and hidden installation. The K-array KS5 is a self-powered subwoofer system for high-powered, extended bass response applications in arenas, theatres, stadiums, concert halls, houses of worship and outdoor events. The KH5 has two 15” neodymium woofers with a 3” voice coil and four 1.4” compression drivers, delivering up to 139 dB. The K-array KMT12 I is a full-featured audio systems featuring a powered 12” subwoofer, programmable onboard DSP and multiple analog and digital inputs and outputs for creating a wide array of speaker configurations. The KU210 is a slim array technology powerful passive subwoofer comprised of 10” long-excursion woofer and 10” passive radiator. With a frequency range of 45 Hz to 150 Hz, the KU26 is a companion to the K-array Lyzard, Vyper, Tornado and Anakonda speakers.